Age related macular degeneration (AMD) is an eye condition which affects the central part of your retina which is called the macula. It causes changes to your central vision which can make some everyday tasks difficult. Being told you have AMD can be worrying but we hope the information here will offer you some help and support. Our Understanding AMD guide is accredited by the Royal College of Ophthalmologists, and is designed to give you a detailed understanding of your eye condition and helpful advice on next steps. AMD causes changes to the macula, which leads to problems with your central vision. AMD doesn’t cause pain, and doesn’t lead to a total loss of sight. AMD affects the vision you use when you’re looking directly at something, for example when you’re reading, looking at photos or watching television. The macula contains a few million specialised photoreceptor cells called cone cells. When someone develops AMD, the cone cells in the macular area become damaged and stop working as well as they should. Dry AMD is the most common type of AMD. It develops very slowly and causes a gradual change in your central vision. At its worst dry AMD causes a blank patch in the centre of your vision. Wet AMD can develop very quickly, causing serious changes to your central vision in a short period of time, over days or weeks. You develop wet AMD when the cells of the macula stop working correctly and the body starts growing new blood vessels to fix the problem. These new blood vessels cause swelling and bleeding underneath the macula which can lead to scarring. The new blood vessels and the scarring damage your central vision and may lead to a blank patch in the centre of your sight. Both wet and dry AMD only affect your central vision and will not affect the vision around the edge of your sight (peripheral vision). So neither type will cause you to lose all of your sight. your vision is not as clear as it used to be. If you notice a sudden change in your vision, you should have your eyes examined by an eye health professional as soon as you can. If your sight changes very quickly then you can attend the Accident and Emergency department at your nearest hospital. If your optometrist thinks you have AMD they will refer you to an ophthalmologist (hospital eye doctor) for further tests and examinations. Unfortunately there is currently no way to treat dry AMD. There is some evidence that vitamins can help with the condition. The treatment available on the NHS for wet AMD is with a group of medications called anti-vascular endothelial growth factor (anti-VEGF) drugs. Anti-VEGF drugs work by stopping new blood vessels from growing, preventing further damage to your sight. The medicine is injected into the vitreous, the gel-like substance inside your eye. Shirley tells us what it's like living with dry AMD and talks about some of the aids, such as lighting, magnification aids and eyeshields, that have helped her stay independent. 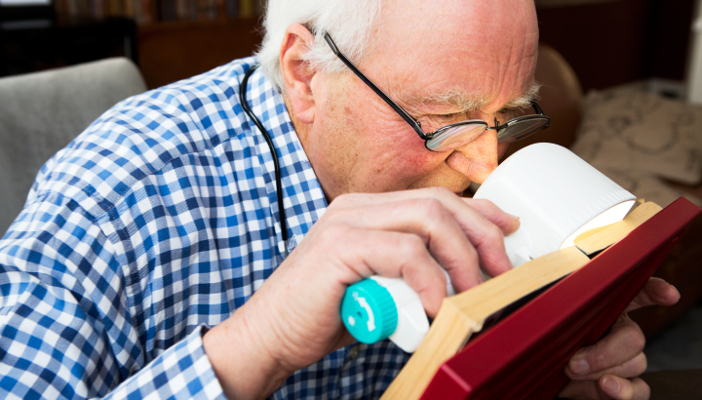 Trying to adjust after a diagnosis of AMD can seem overwhelming at first, and it might involve some changes to your life. We’re here to support you every step of the way – just give our Helpline a call. Living with AMD shouldn’t mean an end to doing most of the things you like to do. 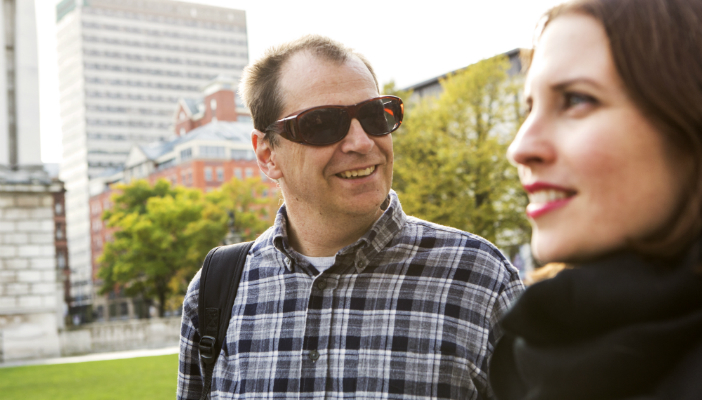 You can contact our Helpline for support, or start by reading our guides on making the most of your sight, on how to continue reading and on enjoying leisure when living with sight loss. A healthy diet full of fruit and vegetables, as well as regular eye tests, can help to keep your eyes as healthy as possible. Find out more about the research into the role of diet and supplements in the prevention and progression of AMD. 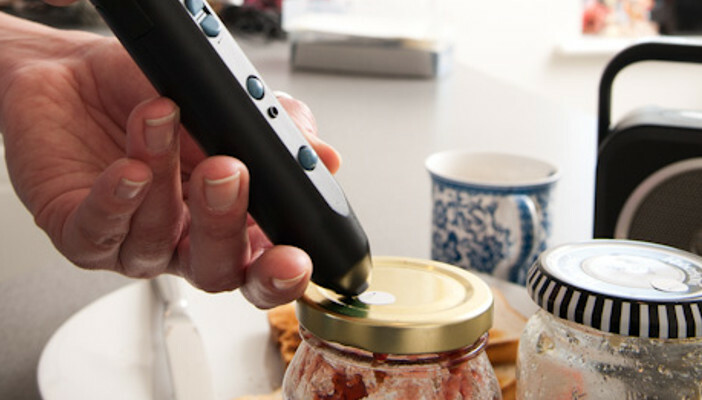 Find and use your belongings and appliances confidently with our range of labelling solutions. 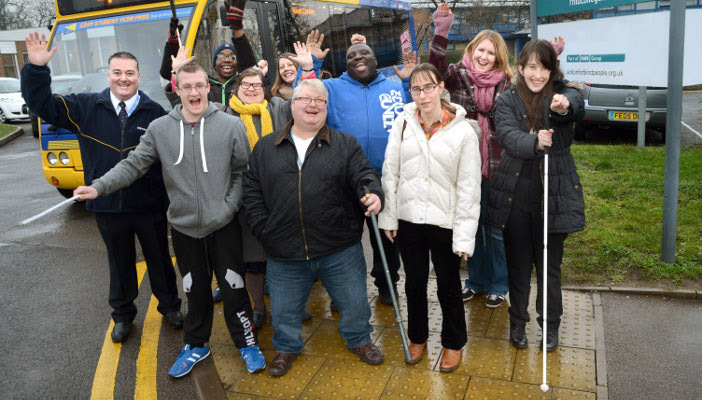 The Macular Society is a UK charity for anyone affected by macular conditions. NHS Choices has information and advice on AMD.